After months of missed paychecks and walk-outs, the staff of Homefront developer Crytek UK were finally paid this week, according to two people familiar with the company. It's a welcome bit of news for employees who were worried they might never see what they were owed in full. This comes in the wake of a storm of bad news about the Nottingham-based studio, which is part of the multi-national video game publisher Crytek, best known for making games like Crysis and Ryse. A number of senior staff have left Crytek UK over the past few months, including studio head Karl Hilton and Homefront director Hasit Zala. Other top developers have also left Crytek's Frankfurt studio following ongoing financial issues that led to missed and delayed paychecks since March of this year, sources have told me. It's unclear just how many people have permanently left Crytek UK—and who will return now that the studio has finally paid employees—but staff at the company say it may be tough to recover from the damage. "Of course the whole situation has been deeply uncomfortable and has seen trust eroded," said one person connected to Crytek UK. "Many people have decided to move on." Other studios at Crytek, which maintains offices across the world, have also been affected by the company's financial issues, though the company now says they've found relief. Just this afternoon, Crytek issued a statement to media, finally addressing their financial troubles after a month of nothing but silence in response to questions from Kotaku and other outlets since news first broke of the company's issues in June. In recent weeks, there have been repeated reports and rumors relating to financial problems at Crytek. Having already given an update to staff across all our studios, we are now in a position to share more details with members of the press and public. Internally, we have acknowledged that the flow of information to employees has not been as good as it should have, however we hope you understand that communicating details of our plans publicly has not always been possible. 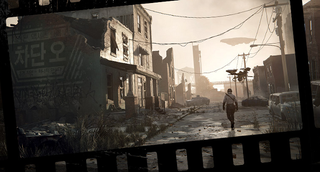 Like the games industry as a whole, Crytek has been in a transitional phase. Our evolution from a development studio to an Online-Publisher has required us to refocus our strategies. These challenges go along with an increased demand for capital which we have secured. We can now concentrate on the long term strategic direction of Crytek and our core competencies. We kindly ask for your understanding, that we won't be communicating further details about our developments and progress. Ultimately, with our organization, capitalization, portfolio and technologies we have now laid the foundations for securing Crytek's future – not just in the short term, but also long term. Through this period of speculation, we are thankful for the support and encouragement we've received from our community and our partners, and for the contribution all of our staff have made. We remain committed to doing what we are best known for and trying to develop the best interactive experiences and technology possible for everyone who loves gaming. We are confident that we will be able to share more positive news on Crytek's progress soon.